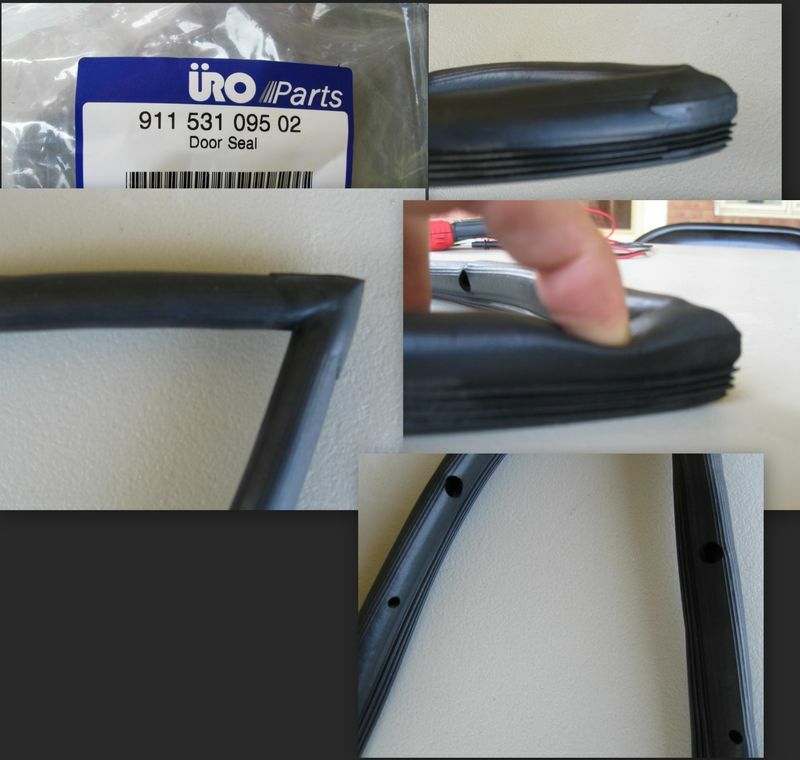 Anybody try these URO door seals? Has anyone tried these 911 door seals made by URO? I noticed that they do not actually have the same profile as the 35 year old seals on my car, which are a solid profile with a change of profile at the transition from the window to the door jamb. These have an "air tube", and while not generic, also not the same design as originals. If you can return them, do so they will not fit properly, pay the extra for OEM trim. Anything made by URO is suspect. Thanks for the feedback ... I was suspecting as much. Next question: Has anyone bought the seals from PP or another supplier that DID match the originals. The URO's were advertised as OEM, so apparently that term is not too meaningful. Any of the new door seals will not look like your old ones! They were improved long ago and most any brand you get will look just like the URO ones you have. I installed a set that looked identical to yours and they work and fit great! Just pull your old ones out, slip the new ones in place without gluing and check the fit. I think you will find them to be AOK. If not return them, as the trial fit will not harm them. I bought a new Porsche one 2 years ago and it looks exactly like the one in your picture. Uwanna is correct, they updated the seals a while back. Yours should fit fine. Well, I've searched and looked at as many new product photo's as I can find, and you guys are right, they all appear to be this style. The vendor said the same thing - offered to take them back and sell me the Porsche product. Thanks for all the feedback. I'll give them a go.